Violent riots continued for a second night in the southern Stockholm suburb of Alby, known for its significant immigrant population, RT’s Ruptly agency reports. Protesters set fire to cars and pelted police and emergency services with rocks and pyrotechnics. On Thursday night, police were patrolling the suburb, which is home to large Syrian and Armenian diasporas, as well as more recent Iraqi refugees, when a rock flew through the back window of their parked car. 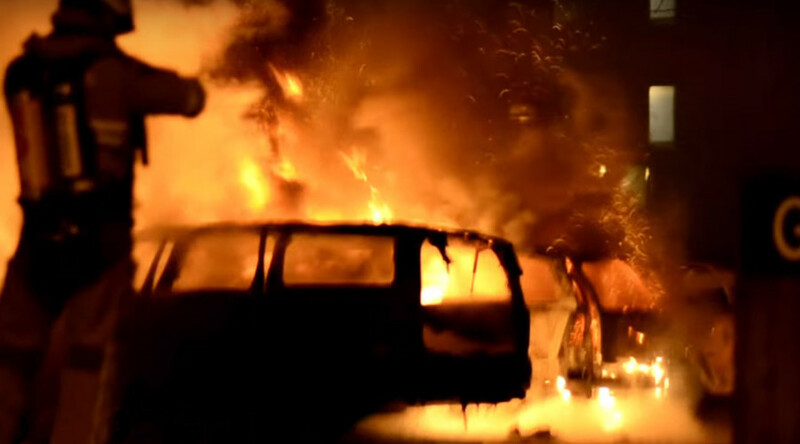 As officers searched for the culprits, the rioters set fire to tires on a public bridge, and poured gasoline over several cars, before lighting them up. When fire crews arrived they were also showered with projectiles. On Friday night, police encountered yet more clashes with residents, although there has been no official confirmation of a link between the scuffles. One man was arrested Thursday, but has since been released. 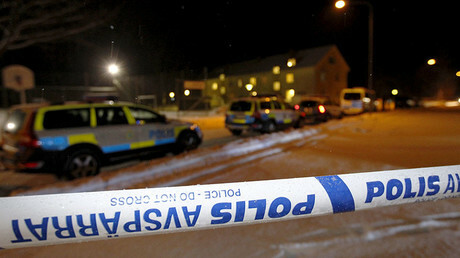 Sweden’s last major riots took place in 2013, provoked by an alleged incident of police brutality. But there have been widely-publicized incidents involving foreign-born residents, including asylum center murders, and sexual assault cases, over the past year. Sweden accepted nearly 170,000 asylum seekers in 2015, more per capita than any other EU state. As Swedish law forbids police to record the ethnicity and origin of the perpetrators, the identity of the recent rioters is unlikely to be uncovered.